Fresh pea pods! 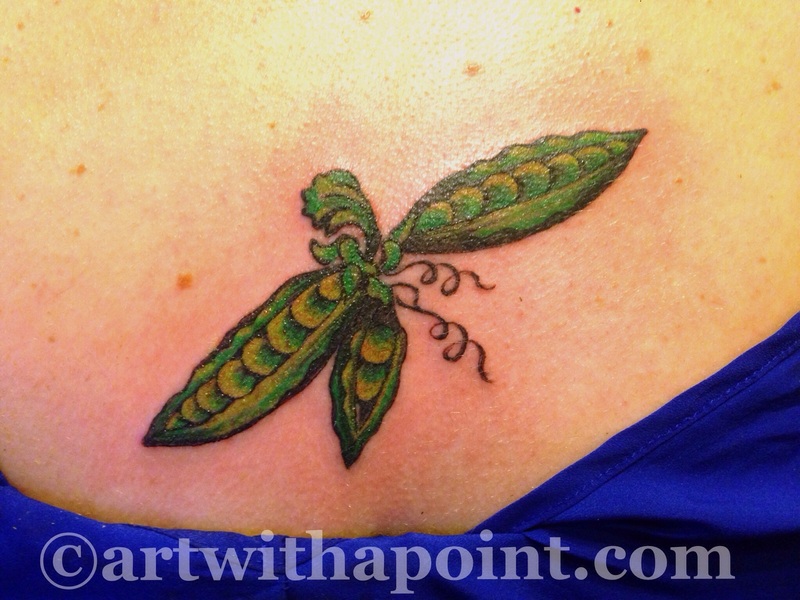 Originally based off of a woodcut design of a single pea pod, we customized this tattoo to represent a number of life passages. And added some greens to give the woodcut style vibrancy.